At the time of writing (watch this space), Apple hasn't confirmed that it's holding a launch event in March - but the pattern of the past two years and the latest gossip from the rumour mill would all suggest that something is about to be announced very soon. And if there is going to be a March event for Apple to show off some shiny new toys, what can we look forward to? In preparation for the show, we've rounded up all the official and unofficial news to bring you a rundown of what to expect. Warning: spoilers ahead. 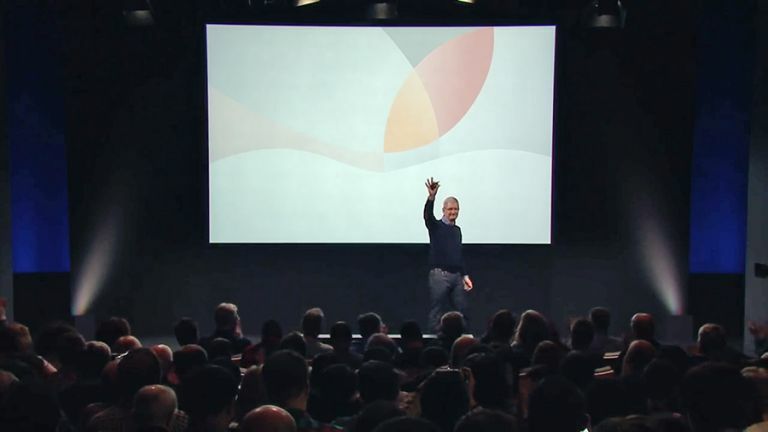 We've got used to Apple wowing the crowds with big product launches every September but a March event hasn't been quite as regular. The first one of the modern Apple era was in March 2011, when Steve Jobs was on hand to unveil the iPad 2. The company from Cupertino, California followed that up in March 2012 with an event that showcased the iPad 3 and a new version of the Apple TV. 2013 and 2014 were blank years as far as Apple March events were concerned, but then in March 2015 we got the first Apple Watch and an all-new MacBook. Last year we had more Apple Watch bands, a 9.7-inch iPad Pro, and the iPhone SE. Spot the pattern? Well, there isn't one really: Apple seems to arrange a March event whenever it's got hardware to show off, and the devices that make an appearance aren't always the same ones year to year. First up, iPads. You can pretty much set your watch by the modern-day iPhone release schedule, but iPad launches are a much more haphazard affair, with Apple seemingly introducing new sizes and model names whenever it sees fit. At the moment Apple sells four different iPad models, with the 12.9-inch and 9.7-inch iPad Pros the top of the line - that latter model was launched in March 2016. This time around there's plenty of speculation that both these models will get speed and spec bumps, as well as rumours that the iPad Pro name (and high-end components) will finally make it down to the 7.9-inch iPad mini size too. There's even talk of a 10.5-inch size arriving - but that seems a bit close to the existing models to us. An iPad Pro mini would mean no need for an iPad mini 5, and with the iPad mini 4 already way over a year old, it's certainly due a refresh. If Apple is holding a March event, then you can almost guarantee that new iPads are going to be involved somewhere. As we mentioned above, new iPhones regularly appear every September, but we got a surprise last year with the iPhone SE. If Apple is planning to push out an upgrade to its budget, retro handset, then March would be the ideal time to do it. In many ways the iPhone SE was a break from the norm for Apple and so it's tricky to predict where it make take it next. A camera and storage bump could be on the cards for the iPhone SE, as well as extra colours, and there have been rumours that the special edition red models will once again make an appearance at Apple's spring event. With the iPhone SE still a fast little phone there's no desperate need to upgrade it at the moment, but Apple may well take the opportunity to give it a few new bells and whistles to tempt another wave of punters into buying one. After all, we're now at the midpoint between the iPhone 7 and iPhone 7 Plus and whatever comes next. We wouldn't say anything is off-limits if Apple confirms a March event is happening this year. The MacBook Pro line just got a revamp, but Apple could take the opportunity of a springtime showcase to bring out more configurations with Intel's new Kaby Lake chips inside them. Meanwhile the lower-specced MacBook is now two years old, and was unveiled at a March event - so an upgrade is definitely on the cards. The Touch Bar would be one obvious feature Apple might decide to add. The iMac, meanwhile, is even older. It does feel a little too early for the Apple Watch Series 3, but Apple might choose to bring out some new editions (in terms of straps and colours) for the existing Series 2. That device first appeared in September and so could use a little sales boost. Finally there's our old friend the Apple TV - the fourth-generation box is now well over a year old, so a 4K upgrade would be most timely and most welcome. Maybe Apple will bring 4K content to the iTunes Store at the same time, but we don't want to get greedy. Whatever Apple has up its sleeve, we'll bring you all the announcements as they happen right here on T3.com.